The Nursing Skills Labs will prepare for your clinical placements and help you practice scenarios you might find challenging while on work experience. 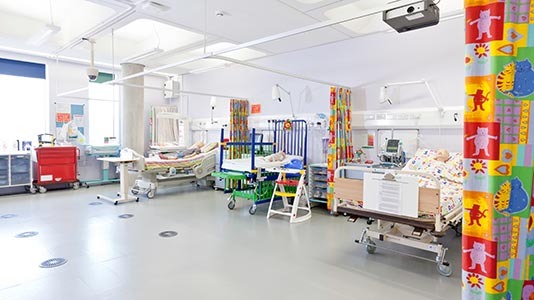 You’ll face situations and challenges that reflect life in a real hospital ward or operating theatre. Using the latest healthcare technology you’ll learn how to increase safety and improve outcomes for patients. Using our virtual tour you can explore various areas of the skills labs and see how we’ve designed them to reflect a modern hospital. We’ve invested over £2million on sophisticated equipment, realistic hospital wards and operating theatres. Modern and in the heart of London, the skills labs provides students with an outstanding study experience. At the heart of everything we do is the patient. We give you the skills you need in a interactive and practical environment while developing important attributes such as care and compassion. 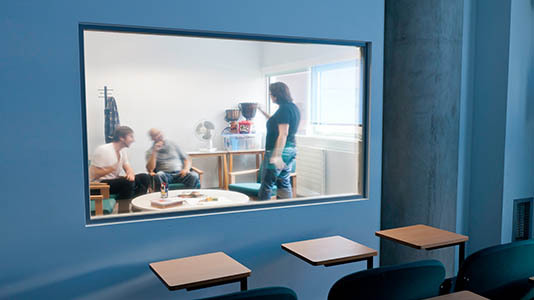 Browse a selection of areas and facilities within the skills labs. From allergic reactions and shock to cardiac events and bleeding, SimMan needs your care and attention in a range of situations. Like a real patient, SimMan will respond to the treatment you give so you can see how your mistakes could potentially pose a risk. Your lecturers can vary his respiration, blood pressure and oxygen to demonstrate a range of chronic and acute conditions. You have the responsibility to record his vital signs while examining consciousness level, urine output, breathing and blood pressure. Applying theory to practice isn't always easy, so being able to make mistakes in a safe setting is a crucial part of your learning. You’ll learn how to avoid slip-ups that could lead to significant consequences in practice. 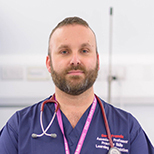 Gary Francis, School lead for practice skills learning and simulation, elaborates on how the skill labs contribute to the nursing student experience. 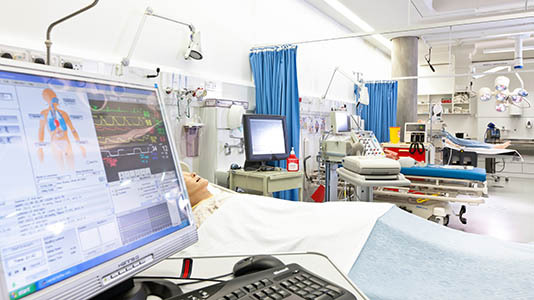 How do LSBU’s facilities help students meet the skill demand in the healthcare sector? GF: Our facilities mean students leave the course ready to hit the ground running. The NHS needs nurses who can quickly transition from study to practice with confidence. You’ll have a set of skills that impress potential employers and allow you to confidently begin your career. 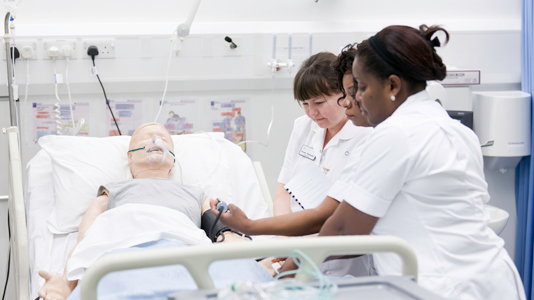 At LSBU we also develop personal attributes such as care and compassion. Does interactive learning help students overcome any fears they may have about working in clinical practice? GF: Definitely! Our aim is to produce a competent workforce of nurses who are confident in their skills and abilities. At LSBU we support students every step of the way. We don’t know the background of every student when they begin the course so we are sensitive to the fact their past experiences may impact their study. We also have a counselling suite, built with a one-way window and audio link used to observe communication skills. Students can watch each other and feedback, helping them develop personally and professionally. Learn and practice performance of the Heimlich Abdominal Thrust Manoeuvre. Our advanced patient simulator family evokes real patients. Practice giving IV injections and infusions. Practice venepuncture techniques and correct positioning. Uses a UV light to demonstrate poor hand washing technique. Gives accurate blood pressure measurements. Lifelike model for intramuscular injection practice. Used for airway management education and training. ECG rhythm simulator with variable pulse rate and strength. The School works with more than 50 NHS partner organisations from in and around London. 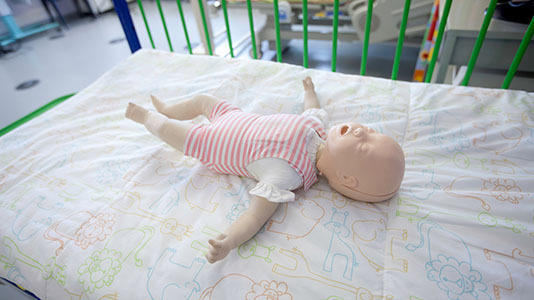 Our partnerships include well-known Trusts and hospitals such as Great Ormond Street Hospital for Children. 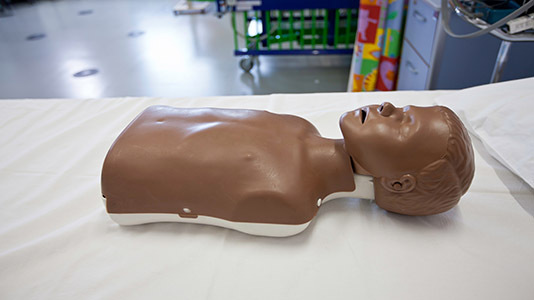 At LSBU we’ve invested in the latest healthcare technology to support training for staff within our NHS partnerships and the local community. We promote developing a workforce that improves healthcare now and for the future. Our students' training is our priority. 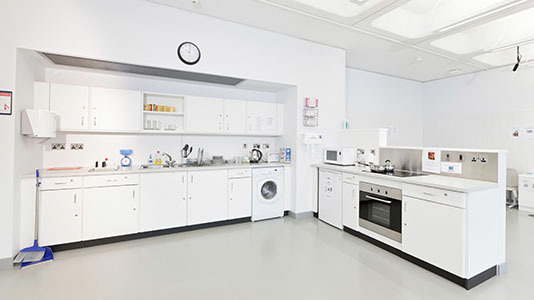 However, we also hire out our skills labs to professionals within the healthcare sector. Find out further information on hiring out the skills labs for specialist and filming purposes.